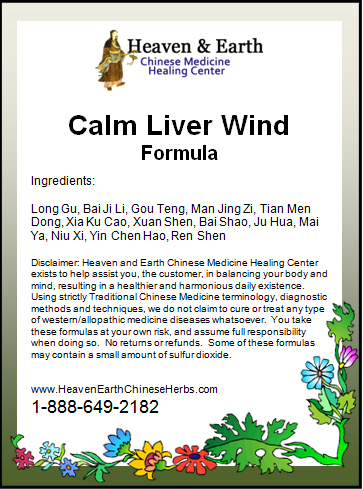 Our Heaven & Earth CMHC Calm Liver Wind Formula is extremely useful for calming your Liver Organ System that is being affected by the element of Wind. 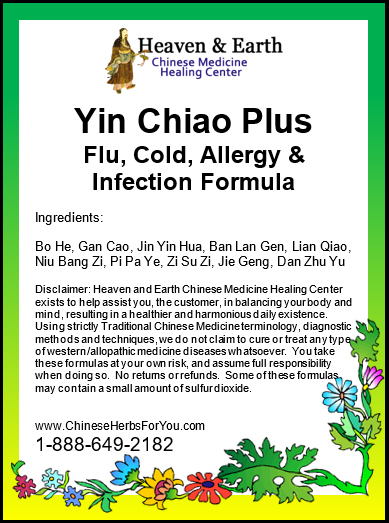 are listed under the Chinese Medicine Pattern of Liver Wind. Your Liver Organ System, as a whole, is responsible for consistent regulation of Chi and Blood throughout your entire body. A disruption of this regulatory factor shows like a clock not keeping correct time, which in return, creates Daily Disharmonies of instability. These capsules have been instrumental when working in tandem with Restore Tranquility capsules to help my husband overcome sudden dizziness and nausea with expectoration. He has felt calmer and has largely overcome all negative symptoms. This formula is helping to regulate an unbalanced system. Powerful herbs. Thank you Teah!! !